Two box roll off trailers by BENLEE are the market leaders in roll off trailers that can carry two dumpsters at once. These 2 container trailers are great for long hauls to increase productivity. Carrying two roll off boxes is a major productivity win, typically for over 100 miles. We are the leading manufacturer of roll off trailers in North America, so if you are in Texas, Houston, Dallas, or North Carolina, Georgia, or California, a BENLEE two box roll off can make a difference for your company. Call us at 734-722-8100 for a quote. Importantly while we rarely have used roll offs in stock, we do have new trailers that we can deliver today. 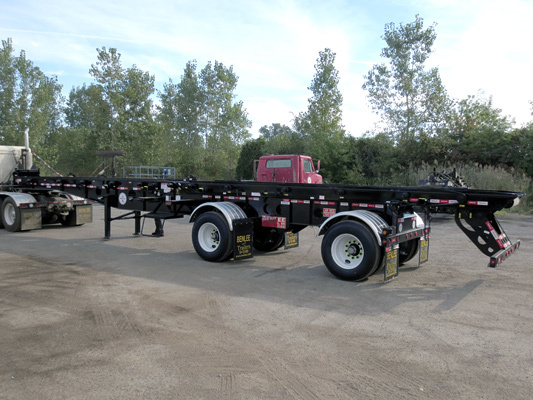 We have a tandem axle trailer in stock for you! Roll off Pup Trailers are for sale at BENLEE. We have a trailer for you in stock. We have pup trailers in stock for you and can ship today! The two axle “Dead” roll off Pup are on stock. We can build them in two, three, four or more axles! We also build them with a full set of hydraulics so the trailer can lift and drop a 20, 30, 40, or tall 50 yard box. You can also get a full automatic tarp system on your unit. Call Jeff for a quote at 734-722-8100, or if in the area stop by at BENLEE, 30383 Ecorse Road, Romulus, MI. Pup trailers are a great way to double your productivity. Carry two loads at once! Also, note you can rent a pup trailer at Premier Truck Sales and Rental in Cleveland, OH. Just call Jickie at 216-642-5000. 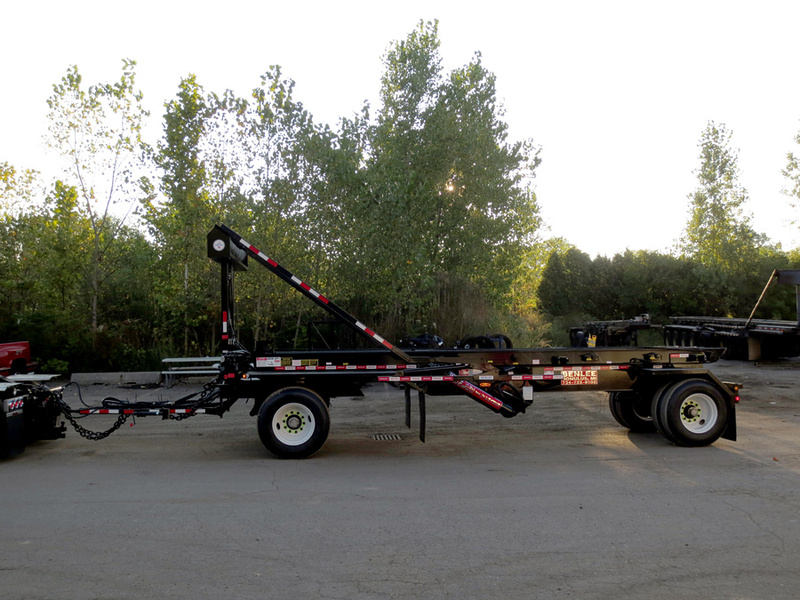 BENLEE roll off trailers are the best of the best, with full support for the decades that you run your unit. We even have tarp kits and can do full installation of tarping systems. We are a Dealer, Distributor and has great inventory to support all your needs. Roll off Trucks are used due to they are short and maneuverable. 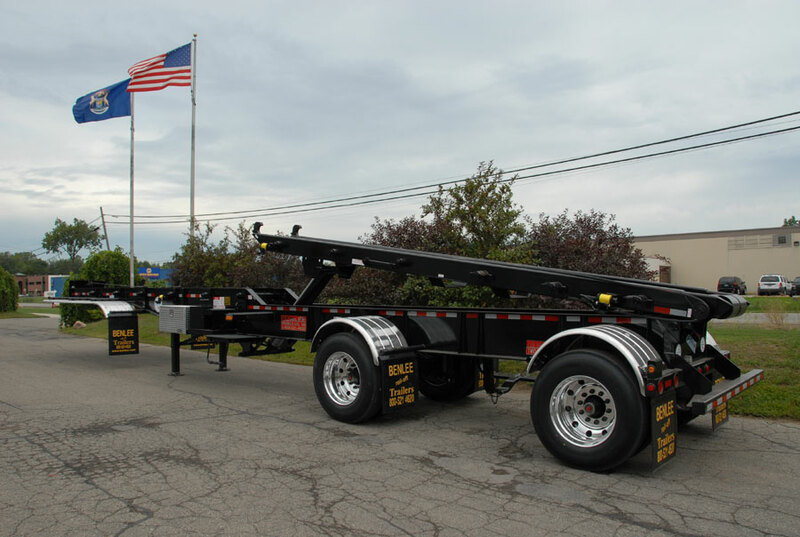 Roll off Trailers are known to be 40′, but our BENLEE Super Mini at 25′ 11″ is a great roll off truck replacement. Why spend $175,000 to $200,000 on a roll off truck when you can spend less than $43,000 on a trailer that could go behind a underutilized power unit, tractor that you might have? The Super Mini roll off trailer is a roll off truck replacement! 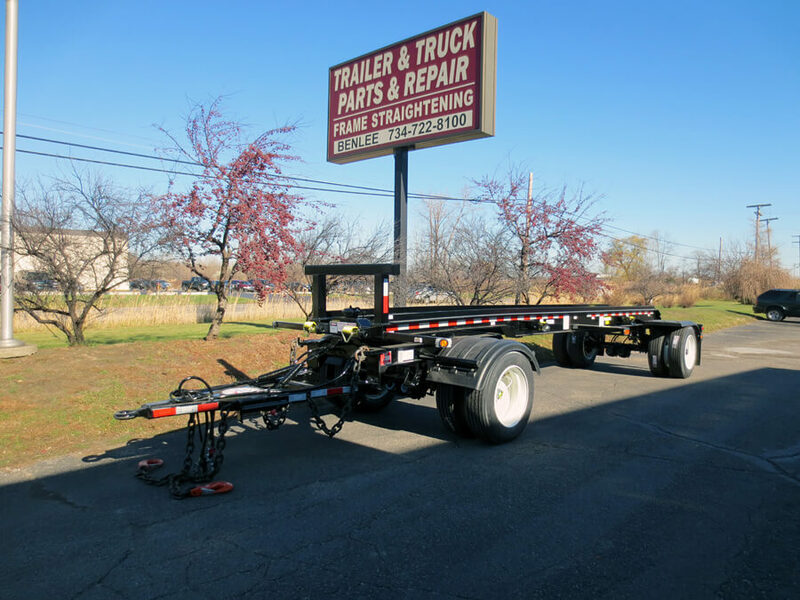 This trailer has all the same components as our monster, 6, 7 and 8 axle heavy haul trailers. It is strong, it is robust, it is a winner. Roll off Trailer Manufacturer BENLEE, www.benlee.com, is also a major Dealer and Disributor of Gresen, Parker. We carry a full line of Gresen Parts, Handles, filters, Valves and more. Power Beyond, Directional Control, 2712, 2702, 2701, 575 and more. If you need parts for you roll off truck, roll off Trailer, BENLEE, Clement, Dragon, Galbreath, call us. 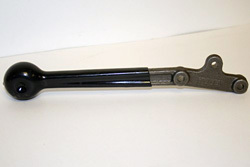 If you need a handle, or a repair kit, call us.